At school, all the new friends sit together on the colorful rug. Dani finds a seat on the orange square. The teacher has a special song to sing with the class. The teacher starts to sing a song about the days of the week. Dani and a few of the children try to sing the song with the teacher. The children were so surprised when the teacher used her voice AND her hands to sing the song! What fun! The teacher was using sign language to sing the song. Dani tries to sing the days of the week song using her hands. It feels strange at first. 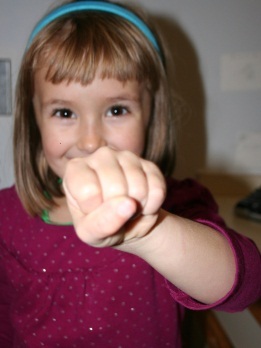 It took a lot of practice for her to remember how to make the sign for Thursday. Sometimes Dani makes mistakes, but she keeps on trying! When Dani has trouble learning the sign for Monday, she gets help from her teacher. Her teacher gives her a hint to help Dani remember. 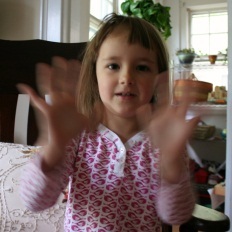 After a lot of effort and practice , Dani can sing the days of the week with her hands. She is showing her teddy bear how to do it, too. What might Dani learn next? Now it is your turn to learn the days of the week in sign language. 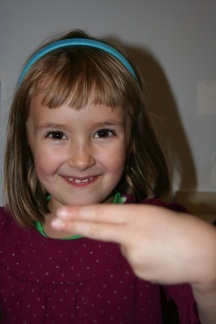 Ella makes the hand sign for Sunday. 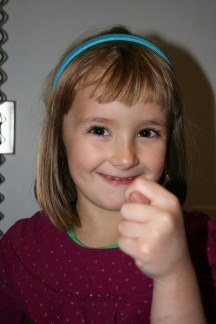 Ella makes the hand sign for Monday. 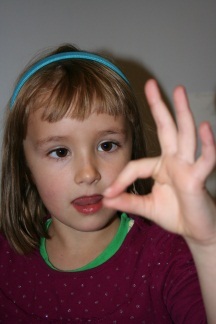 Here is the hand sign for Tuesday. 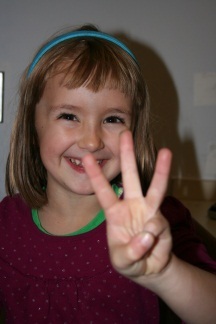 Ella makes the hand sign for Wednesday. This is how you make the sign for Thursday. Here is the sign for Friday. 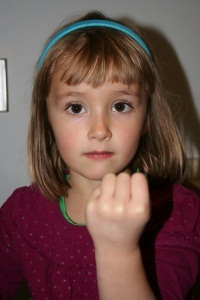 Here is how Ella makes the sign for Saturday. Which sign did you have to practice the most to learn? Dweck, C. (2000). Self-theories: their role in motivation, personality, and development. Philadelphia, PA: Psychology Press.